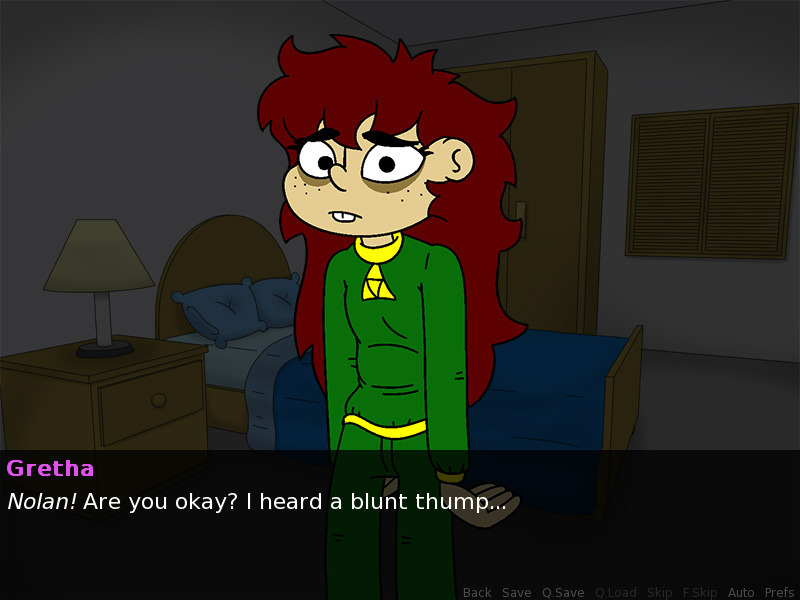 "A fourth wall breaking visual novel with some familiar faces." Bits and Bytes is a cutely animated fourth wall breaking visual novel, it looks really cool and those very well versed in video game side characters may recognize a few of the characters here and there is mention of many obscure and not so obscure games throughout the story. 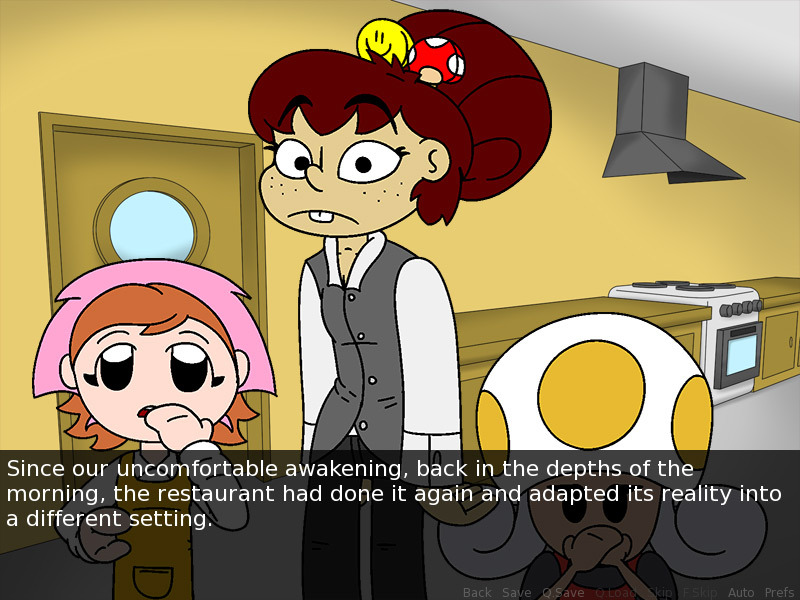 Sadly the main story line is not particularly engaging and although it’s supposedly a story about the goings on in a restaurant, although there are some humorous parts such as the two short cooks realizing that they are in a visual novel and that the text box is blocking them from seeing properly and getting stools so that they are able to see above the text box. Bits and Bytes is very nice to look at but there’s no real sense of danger or overall running theme throughout it which means it’s quite hard for the visual novel to hold your attention for a particularly long spell of time, however the text is very well written and the game is available in both English and Spanish, do note the default language is Spanish so you need to click on the button labelled “Configuracion” to be able to switch the language to English. 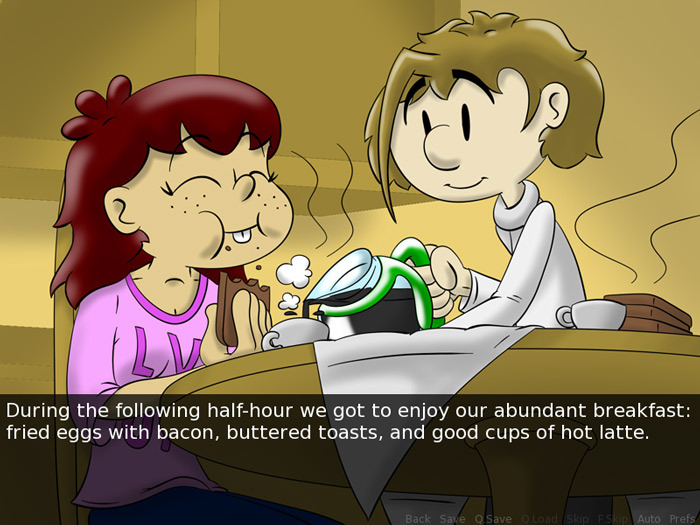 You can download Bits and Bytes visual novel here for free.